Born: 7 May 1888, London, United Kingdom. Died: 24 May 1982, Johannesburg, South Africa. Sidney Henry Haughton, geologist and palaeontologist, was the son of Henry Charles Haughton and his wife Alice, born Aves. He received his secondary schooling at the Essex County Technical Institute at Walthamstow, London (1899-1904), passing the matriculation examination of the University of London in the latter year. He remained at the institute for some time as a preparator for the physics teacher, who awakened his interest in geology and took him on brief holiday excursions to collect fossils. Meanwhile he sat for various examinations of the City and Guilds Institute of London and in 1906 passed the intermediate examination for the BSc degree of the University of London. Upon being awarded an exhibition tenable at Trinity Hall, University of Cambridge, he continued his studies there and was awarded the BA degree in geology in 1909, also making his mark as a sportsman in cricket and football. After graduating he became a teacher at Clayesmore School, an upper class boys' school in Berkshire, and played first-class cricket for the city of Reading. In September 1911 Haughton emigrated to South Africa to succeed A.R. Walker* as assistant in the Department of Geology, Mineralogy and Palaeontology of the South African Museum in Cape Town, headed by Dr L.A. Peringuey*. His duties included original research and as much collecting of fossils in the field as possible. Among others he came into close contact with the geologists A.W. Rogers* and A.L. du Toit* of the Geological Commission of the Cape Colony, which had its headquarters in the museum grounds. They were chiefly responsible for introducing him to the geology of South Africa, and particularly the fossil fauna of the Karoo strata, which became his lasting research interest. He also associated with K.H. Barnard* at the museum, with whom he shared an interest in exploring the mountain country of the Cape Province. In 1914 he was promoted to assistant director of the museum. In his research he concentrated on the palaeontology of the Beaufort Group in the Karoo and the Stormberg Series (now the Clarens, Elliot and Molteno Formations) in the mountainous areas of the Cape Province and Free State near the Lesotho border. His work on the latter strata formed the basis of his thesis for the degree Doctor of Science (DSc) in geology at the University of Cape Town, The fauna and stratigraphy of Stormberg Series in South and Central Africa (1921). The thesis was later published in the Annals of the South African Museum (1924, Vol. 12(8), pp. 323-497) and for decades remained the standard reference for its topic. In 1920 Haughton resigned his post to take up an appointment as senior geologist of the Geological Survey of the Union of South Africa (under the direction of A.W. Rogers), stationed in Cape Town. His work for the next fourteen years involved mainly geological mapping in the southern and south-western regions of the Cape Province (including Cape Town, Sundays River, Gamtoos River, Mossel Bay, and Port Elizabeth) and along the Orange River west of Upington (including the Warmbad, Ais-Ais and Karasburg areas of Namibia). However, he also continued to serve the South African Museum as honorary palaeontologist. The most important event for local geologists during this period was the Fifteenth International Geological Congress, held in South Africa in 1929. Haughton was one of the organisers of field excursions for the delegates and wrote four of the 23 guidebooks for such excursions. He also became the secretary of a new Commission for the Lexicon of Stratigraphy, a position he held until 1948. The Lexicon was to be published in five volumes, one for each continent. He edited the volume for Africa, which was published as Lexicon de stratigraphie, Vol. 1 (Africa) in 1938. Like A.L. du Toit, Haughton became a supporter of the then controversial theory of continental drift, though at first he was reluctant to accept it. At the meeting of the International Geological Congress in 1929 he was appointed secretary of a commission on the distribution of the Karoo strata (which came to be known in its wider context as the Gondwana System). Late he served as the commission's president (1957-1967). He also chaired the organising committee of the Second Gondwana Symposium held in South Africa in 1970, and edited its Proceedings. During this long period he became a leading exponent of the concept of the Gondwana supercontinent, collected its fossil animals and the fossil fishes from its ephemeral seas, and traced their evolution. Haughton succeeded L.J. Krige as director of the Geological Survey from 1 January 1934, was based in Pretoria, and held this post until his retirement in May 1948. During his term of office the Survey expanded considerably, its complement of trained geologists increasing from ten to about 70, and he saw to it that the institution was well equipped to carry out its various functions. After his retirement his scientific career continued at an undiminished pace and his output of publications and reviews actually increased. In 1951 he became honorary scientific director of the Bernard Price Institute for Palaeontological Research at the University of the Witwatersrand. He remained affiliated with the institute for the rest of his life, serving as honorary editor and consultant until his death in 1982. 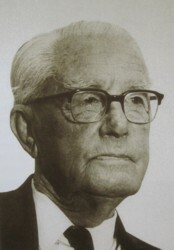 While he was director of the Geological Survey, and particularly during World War II (1939-1945) Haughton was called upon by the South African government (often directly by the Prime Minister, General J.C. Smuts) to serve on various commissions and other bodies concerned with strategic resources and other matters of national interest: the board of the Fuel Research Institute (1934-1948, and as chairman from 1939); the Industrial and Agricultural Requirements Commission (1940-1944); Controller of Non-ferrous Metals (1942-1944); head of a South African scientific mission to the United States, where it was attached to the South African embassy in Washington (1943-1945); the board of the Council for Scientific and Industrial Research (1945-1948); the Historical Monuments Commission (1946), the Uranium Research Committee (which was dissolved shortly after the establishment of the Atomic Energy Board in 1949); a commission of inquiry into museums in South Africa (1950); a commission of inquiry into university finances (1951); and the Swaziland Mineral Development Commission (1954). From 1948 to 1954 he furthermore supervised investigations into the resources of uranium and other radio-active minerals in South Africa. From 1954 to 1962 Haughton was the inter-African geological correspondent of the Scientific Committee for Africa South of the Sahara (CSA), a body set up by the inter-governmental Council for Technical Co-operation in Africa South of the Sahara (CCTA; from which South Africa withdrew for political reasons in 1962). During this period he reported on geological research throughout this vast area, travelled widely in the region, and subsequently published a comprehensive book on The stratigraphic history of Africa south of the Sahara (1963). During his long career Haughton published over 200 scientific papers, wrote or edited seven books, and compiled thirteen geological maps. About a third of his papers contained descriptions of Karoo fossils, many of which he collected and prepared himself, including insects, fishes, amphibians, and reptiles. About another third dealt with stratigraphy and structural geology and the rest with a variety of topics. Although much of his work was done within the borders of South Africa, a substantial number of his publications dealt with the geology and palaeontology of Namibia, Angola, Malawi, Tanzania, and Madagascar. He also collected contemporary non-marine shells (in Namibia, Namaqualand and the Western Cape) and had the species Trigonerphrus haughtoni named after him. His books included a textbook for students, Geological history of southern Africa (1969). Haughton was one of the most distinguished and able geologists of Africa. His work was widely recognised and many honours were bestowed upon him, including the honorary degrees LLD (University of Cape Town, 1947) and DSc (University of the Witwatersrand, 1964; University of Natal, 1967). He was elected a Fellow of the Geological Society of London (1914), the Royal Society of South Africa (1915), and the Royal Society of London (1961); an honorary Fellow of the Geological Society of America; and served as president of the Geological Society of South Africa (1925, 1967), Mountain Club of South Africa (1926-1928), South African Geographical Society (1951), Associated Scientific and Technical Societies of South Africa (1951-1952), Royal Society of South Africa (1955-1956), and South African Association for the Advancement of Science (1972/3). The many awards he received included the Murchison Medal of the Geological Society of London, and the Draper Memorial Medal (1941) of the Geological Society of South Africa. Haughton's life was one of unstinting service to his profession, but also to his community and country. He was a fine public speaker and a man of profound wisdom, personal integrity and dignity. In December 1914 he married Edith Hoal, with whom he had a son and a daughter. Die Geologiese Opname van die Republiek van Suid-Afrika en Suidwes-Afrika. Annals of the Geological Survey, 1962, Vol. 1, p. 1. Dunham, K. Sidney Henry Haughton. Biographical Memoirs of Fellows of the Royal Society, 1983, Vol. 29, pp.245-267. National Automated Archival Information Retrieval System (NAAIRS), at http://www.national.archives.gov.za/naairs.htm Documents relating to S.H. Haughton. Obituary: Sidney Henry Haughton. Transactions of the Geological Society of South Africa, 1983, Vol. 86, pp. 65-70. Obituary: Sidney Henry Haughton. South African Journal of Science, 1982, Vol. 78, pp. 220-221. Obituary: Sidney Henry Haughton. Palaeontological News, 1982, Vol. 3(1), pp. 38-41. Obituary: Sidney H. Haughton, FRS. Quarterly News Bulletin of the Geological Society of South Africa, 1982, Vol. 25(2), pp. 68-69. Raath, M.A. Dinosaurs and Diatremes. The life and work of Sidney Henry Haughton (Sidney Haughton Memorial Lecture 1). Cape Town: South African Museum and Royal Society of South Africa, 1984.